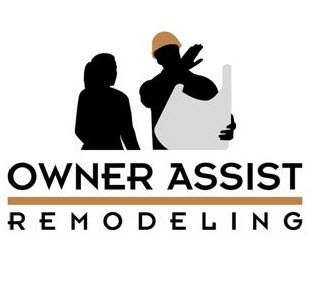 Reviews and testimonials from clients and customers of Owner Assist Remodeling LLC. We appreciate your continual monitoring of the project as it progressed. You had a great attention for detail, pointing out problems before they happened and making valuable suggestions along the way. This certainly helped to keep our project on track with our scheduled completion date. My wife and I have enjoyed the remodel so much and have commented so many times how thankful we were that you were working on the project. The things you watched closely were the types of technical detail that I would never have had a clue to check. Your daily visits to the project gave us great comfort and confidence that the job was being done properly. The end result was a spectacular master suite like none we’ve seen before. Thanks for all your help and concern along the way. We felt that you paid as close attention to our job as if it were your own. Thank you for all the time and effort you spent in helping us with our new basement. We love it! You listened to what we wanted to do and offered up amazing creative solutions to our projects. But more importantly you offered up suggestions to make our space more efficient, useful, and visually more appealing. Many of these ideas we hadn’t even thought about. We truly think that made the biggest difference in the success of the design of our project. You were great to work with. You know your costs for projects and how to get them completed timely. I’ll use you as my go to guy whenever I have projects or need a recommendation. We are so happy we found you to help us with our basement finish. We initially wanted to finish our basement by ourselves with a friend who is a contractor, but does not specialize in basements. We were surprised at how many details and ideas you brought to our attention that we would never have thought of. You were extremely professional and attentive to our desires and gave us many options and let us decide which way to go. You let us know the costs of different features so we could decide whether each was something we wanted to include, or not. You helped us stay within our budget, and suggested redesigns to reduce the cost, but maintain the look and feel we wanted. You were great about keeping us realistic and on track with our budget. You offered more affordable options to allow us to pick and choose where to focus our efforts. Many times you acted as our “voice of reason” when we started to lose sight of the big picture. This was really a big contributing factor in the success of our satisfaction with our project. You were so helpful in our remodeling project. You were both knowledgeable and patient in explaining options and details to us. You showed concern that the project should be done well and that we would be satisfied with the finished product. You worked closely with contractors to accomplish these goals. We could never created the design ourselves, the finished basement is absolutely wonderful! Thank you for all of the time you spent with our remodel project, you worked so well with all the contractors. You listened to and were interested in our ideas and needs and did an excellent job of conveying those ideas and needs to the proper resources. We appreciate the fact that you were there to clearly explain all the codes and construction snags that came up and provided suitable alternatives when some of our ideas could not be implemented. You were a tremendous help and asset to the whole project.